In less than one hour, I will be on the way to Logan Airport. 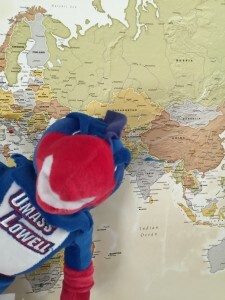 I am so excited to see India and meet the students that we will be collaborating with during the program. I am also looking forward to working in a multicultural and cross-functional team. This is such an incredible opportunity to both expand my global awareness and also cultivate my ability to adapt to new environments and situations. Although I am filled with anticipation for this new experience, I will miss my husband and son. Being away from them may be challenging, but I know they will be safe and happy while I’m gone. This isn’t the first time I’ve spent New Year’s Eve on a plane, but it will be the first time I’ve ever started the new year in another country. Without a doubt, this will be an unforgettable beginning to the year 2015. 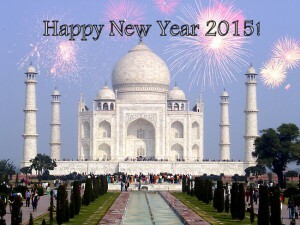 Next time you’ll hear from me I will be in New Delhi, celebrating the new year with my classmates in a memorable way. See you all on the other side of this long plane ride. As many of us will begin on January 1 by making a New Year resolution, I will begin my 2015, not by making it, but living it. Not by eating a salad, or by transferring money into a saving’s account, or heading to the gym to do my best “Rocky” montage, (which is Rocky IV by the way, “Hearts on Fire” song in the background, while Rocky chops down trees, lifts rocks, and sprints up mountains, while Drago is training on a space station) but by doing something completely new, in a new place halfway across the world, getting outside of my comfort zone and challenging all that I know to see our world from a new perspective and to continue to grow as an individual. along with a dozen fellow Umass classmates, we will be learning with a purpose as we team up with a local engineering college and work on real projects with real companies ranging from sustainable development through agriculture to working with physiotherapists to aid patients who cannot walk. Just as many of us do not know what the rest of the year will bring or if we will even make it past February till we conclude that skinny jeans are dumb and not for me, tonight is full of excitement and wonder, thinking about the future accomplishment of this year’s new year decree and all the change it will bring. With my bags packed, and visa in hand, here comes India and the year 2015…..
5 – 4 – 3 – 2 – 1….Happy New Year!